Your smile may not be all you want it to be. But regardless of the reason why, a full-mouth reconstruction from Dr. Salivonchik makes it possible for you to have the brand new smile you deserve. With his years of experience and our Whitehall office’s advanced technology, we can rebuild your smile, leading to restored functionality and appearance as well as improved health and confidence. And it all begins with a thorough, tooth-by-tooth exam of your teeth and gums at our office. This lets us identify exactly how we can help you, and gives us a chance to talk about the issues that matter to you most as we create a plan for your smile. 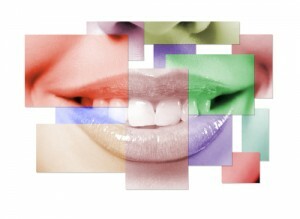 Our Whitehall office has a wide range of services to help you with your full-mouth reconstruction. With our CEREC machine, we can mill quality porcelain crowns in about an hour. Or, if you need dental implants, we can work with a trusted periodontist to place your implants and you new teeth, often in the same visit. We can even help you with a traditional denture or partial, if that’s what would work best for you. To find out more about how you can get started on your full mouth reconstruction, or to schedule an appointment with Dr. Salivonchik, call our office today. Our office is located in Lehigh Valley in Whitehall, and sees patients in Allentown, Bethlehem, Easton, The Poconos, and surrounding areas.